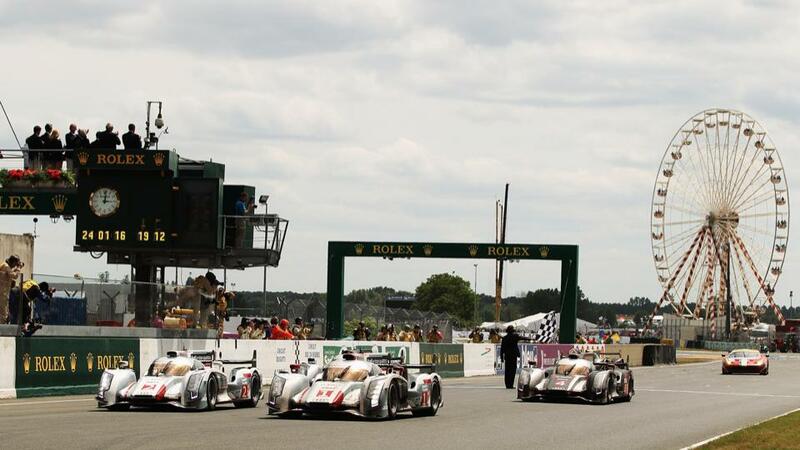 In an historic first, an Audi R18 E-Tron Quattro became the first hybrid to win the 24 Hours of Le Mans endurance race. A second hybrid followed the winning car to the podium, while a conventional, diesel-powered Audi placed third. Fittingly Audi No. 1, driven by the team of Marcel Fassler, Andre Lotterer, and Benoit Treyuler, came first, completing 378 laps in 24 hours. The No.2 Audi, driven by Rinaldo Capello, Tom Kristensen, and Alan McNish, placed second. Le Mans is one of oldest, and most challenging, races on the international circuit. As a 24-hour endurance race, it puts drivers’ stamina to the test. A few mistakes nearly cost the Audi No.1 team the win. Fassler spun the car in the 14th hour, giving the lead to McNish. He later drove into the gravel, damaging the R18’s rear bodywork. Treyuler also spun the car, in the 21st hour. McNish hit a wall in his No.2 car, causing some bodywork damage. Audi was not the only car company to field a hybrid at the 2012 24 Hours of Le Mans. Unfortunately, rival Toyota’s TS030 was plagued by crashes. At the end of the fifth hour, Toyota No. 8 was bumped by another car, sending it flying into the tire barrier. The race was stopped for 75 minutes to clean up the wreckage. “Well that was a big one! Lying in a French hospital with a broken back,” driver Anthony Davidson tweeted after suffering fractures to two vertebrae. Toyota’s other car was pulled out of the race after Kazuki Nakajima collided with the Nissan DeltaWing during a pass attempt. Toyota’s mechanics couldn’t fix car No. 7, and the team was out of the race by the 11th hour. 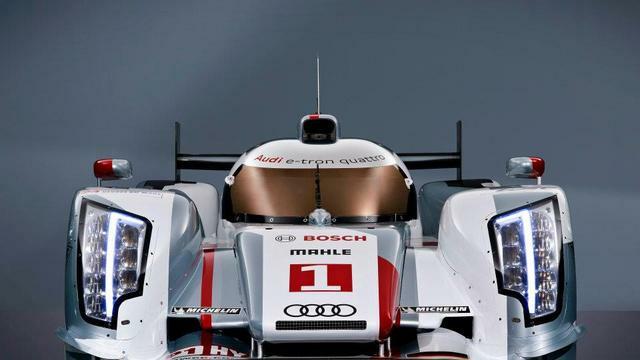 The winning Audi hybrid is based on the R18 TDI that won Le Mans in 2011, and placed third in this year’s race. The R18 E-Tron Quattro is powered by a 3.7-liter turbodiesel V6, assisted by an electric motor. The diesel powers the rear wheels, while the electric motor powers the fronts. Unlike most hybrids, which carry heavy batteries to store their electricity, the R18 uses a spinning flywheel to keep the juice flowing. Hybrid systems gave Audi and Toyota a couple of competitive advantages. Electric power cuts fuel consumption, meaning fewer pit stops. The electric motors’ low-end torque also helped the cars accelerate faster out of corners. Racing hybrids also draw attention to both companies’ numerous production hybrids. However, it’s hard to say whether hybrids will take over racing. With 2009 winner Peugeot out of the running, Audi lacked a serious competitor. The third place-finishing R18 Ultra actually set the fastest time, and pitted the same amount of times as the No. 2 E-Tron Quattro.